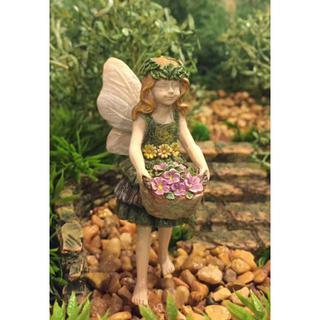 Fairy Autumn loves collecting flowers from the garden in her large basket. Fairy Autumn loves collecting�flowers from the garden in her large basket. Includes a wire pick for securing in the soil.